Cheerios, Dr Bronners, and Dior? 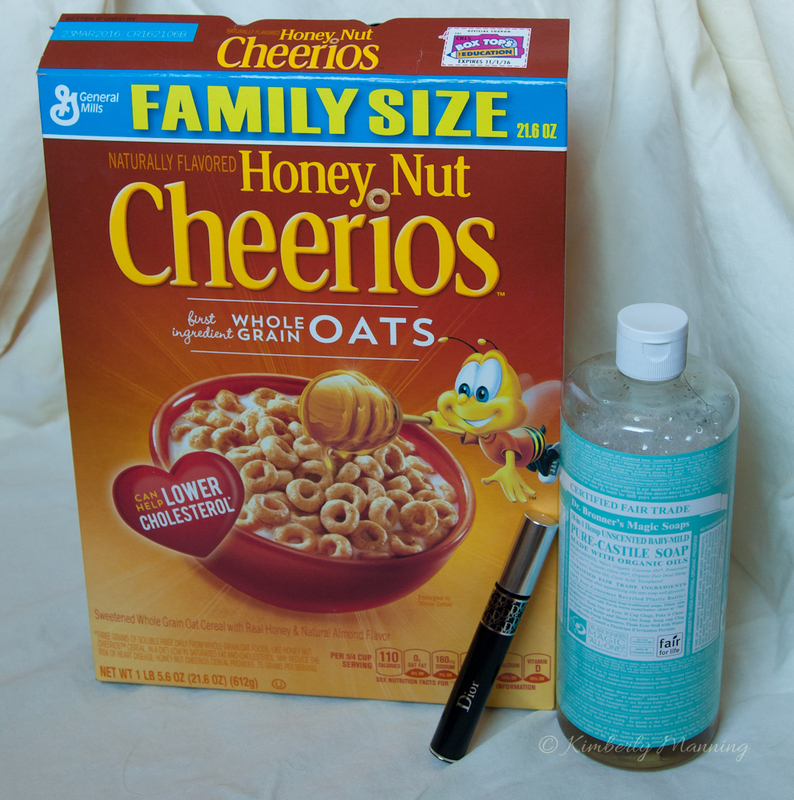 What do Cheerios, Dr. Bronner’s Castille Soap, and Dior Mascara have in common? They are all products in my house that we use everyday. I was just able to rate how safe they are after watching a very informative video about personal care products sold in the USA. The 15-minute video is “Why Beauty Products are Toxic & What You Can Do About It” put out by Mind Body Green. In this video taken, Heather White, Executive Director of the Environmental Working Group, discusses the studies and findings her non-profit organization has been involved with. Heather presents information about chemicals that are in our products and why they are or may be harmful. She informs about the safety and government regulations, or lack there of, of personal care products. Lastly, she helps us understand why this is important and what we need to do to ensure we and our children are safe from toxic chemicals. The EWG (Environmental Working Group) website was full of other great information too. They have used their database to create some wonderful tools and mobile apps to help you determine your level of risk. Rate Your Plate: Also, available as a mobile app, Rate Your Plate has over 80,000 products so you can determine how healthy your food is. Better yet, use the mobile app and you can determine this BEFORE you buy. For example, I do buy Honey Nut Cheerios on occasion….basically, not the best I can do, but not highly toxic either. Click here to see my results. Skin Deep: The Skin Deep database and mobile app have over 68,000 personal care products for you to research. I put in my Dr Bronner’s Magic Soap-mild/baby version of their Pure-Castille Soap. Great! It got a 1 which is very low for possible toxicity. Then I put in my Dior Mascara. Although they did not have any current formulations, the ones from 2009-2010 were moderately to highly toxic. Informative Guides: On their home page, EWG has guides on Cosmetics, Food Additives, Pesticides on Produce, Healthy Cleaning, Water Filters, Genetically Engineered Food, Seafood, and Sunscreen. Plus they have information on Farming, Endocrine Disruptors, and Toxic Chemical Reform. These websites contain a lot of information and most of us cannot remember it all. It can be overwhelming and so many people will just ignore and continue doing what they have been doing. However, companies are not concerned for our welfare and are putting out potentially, and sometimes proven, dangerous products in order to make a profit. Until legislation is in place that protects the public from harmful products, we must do it ourselves. No one can overhaul their life in one day. Pick one thing at a time to replace. Each time you go to the store, replace one item with a healthier alternative. It may take years and thats ok. The point is to start.